Part of GroBikes’ mission is to make it financially easier for parents to give their children access to high quality bikes, i.e. that are the right size, lightweight and designed specifically for children’s proportions, all characteristics that contribute to their children’s biking being safer and more fun! 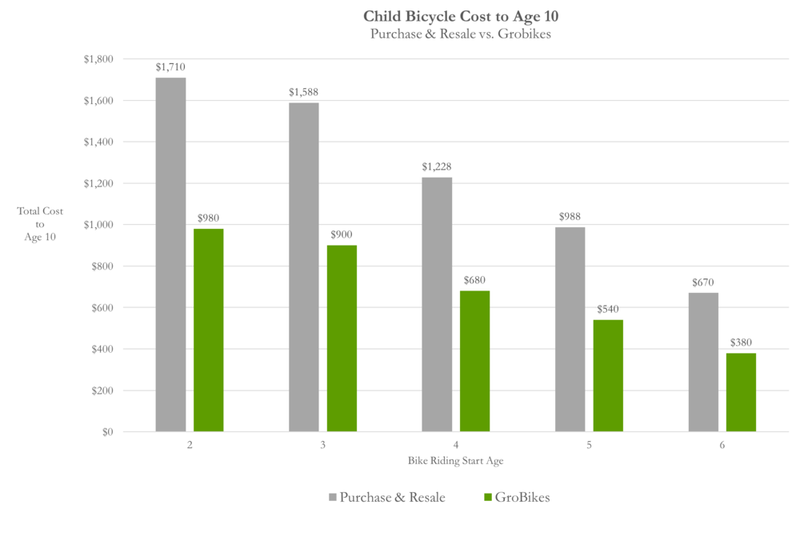 In the store, the bikes we use sell for $245 to $695 each which is more than many families can afford, especially given growing children will need a larger bike roughly every 16 months. Because of the high quality of these bikes and GroBikes’ rigorous maintenance program, however, these bikes will last a lot longer than 16 months and so we are able to earn back our investment over a longer period of time, keeping our subscription prices low. 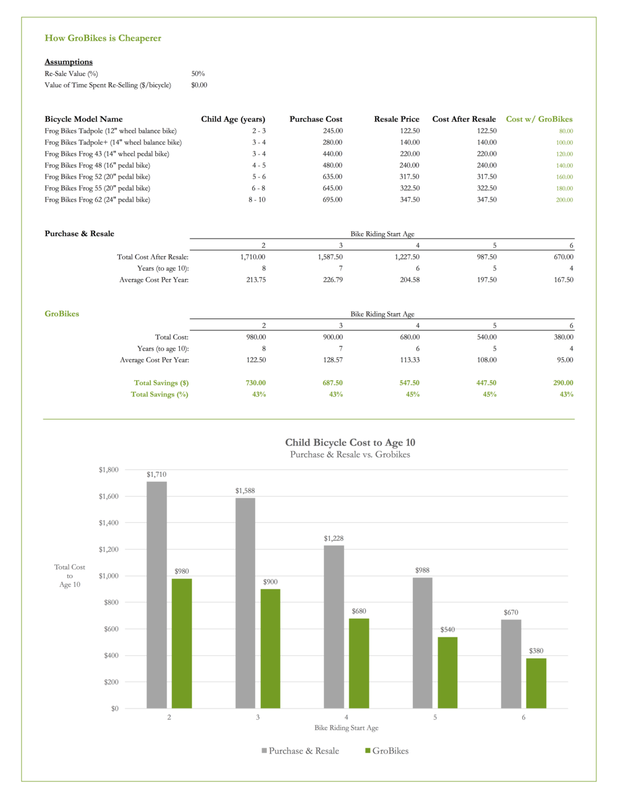 We’ve done a bit of analysis (see graph) and estimate that, even assuming parents re-sell their bikes for 50% of the purchase price, subscribing to GroBikes will save parents up to 45% of the total cost for bikes for a child for ages 2 to 10 years old compared to the conventional “purchase and re-sell” approach! In this way, by maintaining ownership of the bikes and using a subscription model, we are able to achieve our goal of saving parents’ money while also getting more kids onto safe, fun bikes.